This sweet living succulent wreath is eye candy indeed. 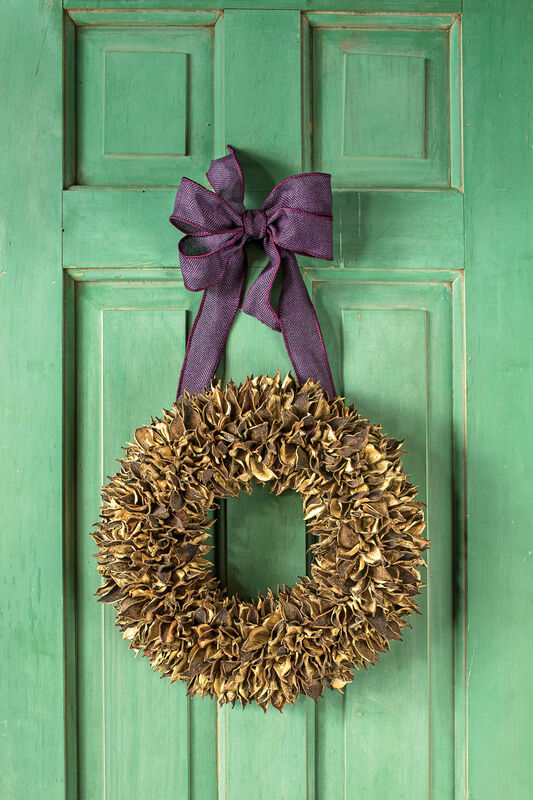 We love the unexpected beauty of the lush green wreath. 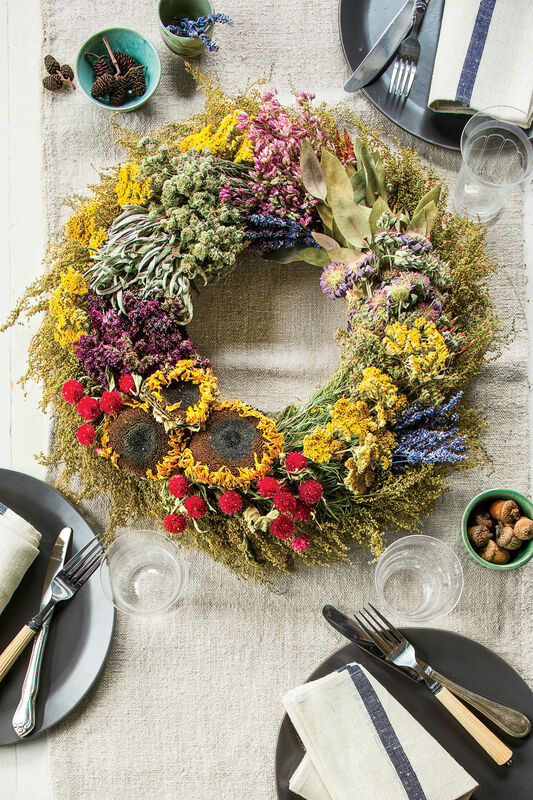 This sweet living succulent wreath is eye candy indeed. 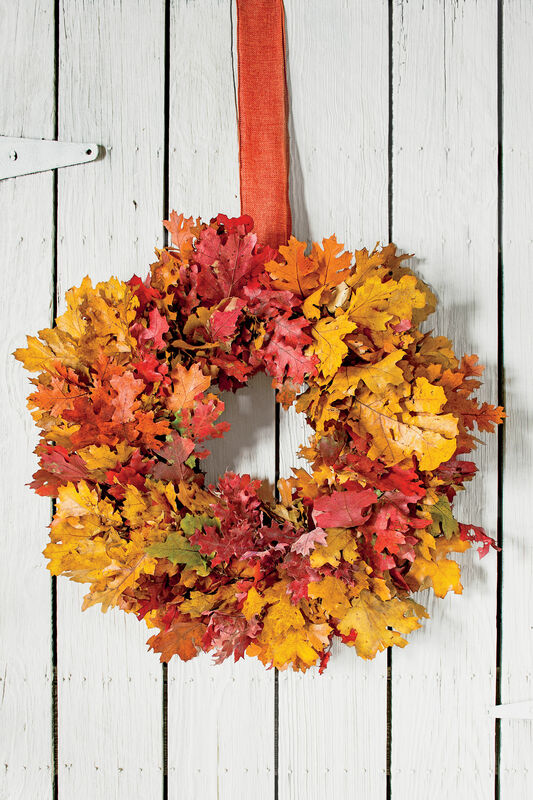 Display it as a centerpiece, tie it to the back of a chair, or hang it on an interior wall. Mix and match your favorite succulents for great texture. With regular watering and bright light, it can live for years. 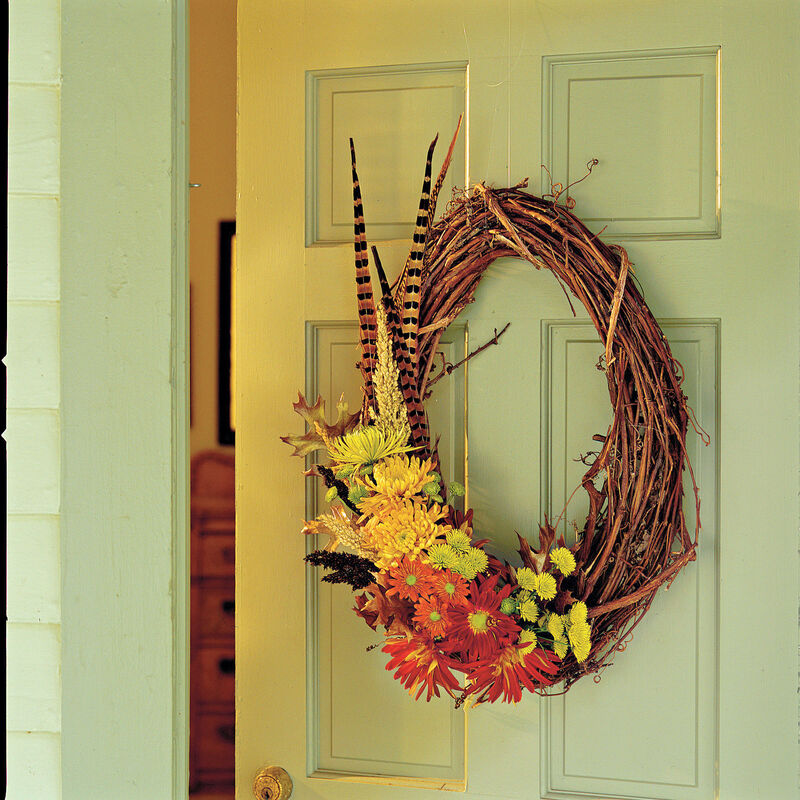 Learn how to make this succelent wreath. Display it as a centerpiece, tie it to the back of a chair, or hang it on an interior wall. With regular watering and bright light, it can live for years. 1. Soak wreath form in a bucket of water so sphagnum moss and inner soil are saturated. Lift from bucket, and let excess water drain. 2. Punch a hole in the wreath form with an awl or chopstick. Insert succulents. (If using potted plants rather than cuttings, make hole larger, remove excess soil from roots, and squeeze remaining soil to make insertion easier.) Once succulents are planted, water well by submerging in a bucket of water. Lift and drain. 3. 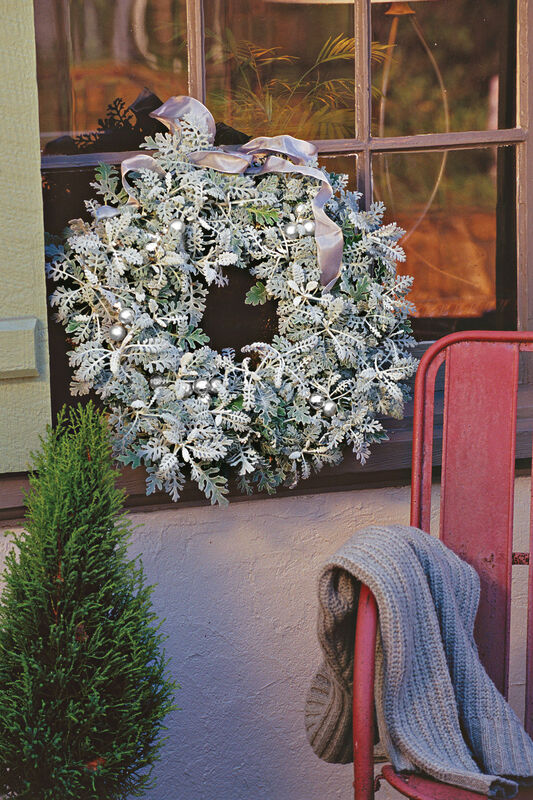 Loop florist paddle wire over the wreath to support the weight when hung, and then cover with decorative satin ribbon, tying a bow at the top. 4. Water as needed, letting wreath get slightly dry between waterings.